Home » an ARTISTIC impression » YOUNG ENOUGH for PLASTIC CONTOURING! YOUNG ENOUGH for PLASTIC CONTOURING! YOUNG ENOUGH for PLASTIC contouring: There’s no age for improvement when it comes to your face, n’est-ce pas? So rather than focusing on just reversing the signs of aging, why not consider enhancing the actual contours of your face. Don’t love your eye shape, cheeks, chin? chances are, many of your quirks can be more beautified with non-invasive techniques at a Plastic Surgeon’s office. Why plastic vs. dermo? because they can actually help make you more attractive along the way. We’re not talking a face lift here, we’re talking contouring using the same methods as a dermo would use including BOTOX + FILLER. I recently sat down with Dr. Konstantin Vasyukevich to talk about vanity, aesthetics, and a modern approach to beautifying. The first and foremost difference I saw was the way in which Dr. K. took the time (almost an hour) to chat in an office setting, instead of a chair in a medical office. His approach is to observe, chat, see the smiles, frowns and quirks in a normal conversation – in order to assess the big picture. 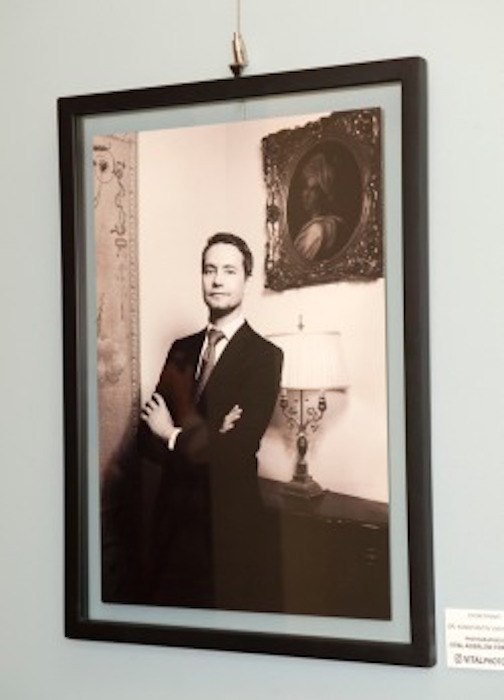 With 9 years of experience in Upper East Side, Dr. Konstantin is in tune with what’s modern with the younger gen – and that made all the difference for me. Observing my facial expressions + quirks and what movements can cause pretty (or not), Dr. K . took the “frown for me” to another level. Surprisingly, the big picture assessment was more like a 5 year plan… now, whether it may be just anti-aging, more intense as filling in some cheek without invasion, or doing something about the brow / lid lift in 5 years, the CONVO started. What I did find out is that you don’t need ‘to get cut’ to get a more fab look… and where the DERMO possibilities dwindle, the PLASTIC SURGEON can continue, improve, and design a plan for future. My primary interest was the actual improvement to ‘contours of the face’. What may have been necessary as plastic surgery back in the day, can possibly be taken care of with same non-invasive techniques used at the dermatologist, in a combination with more intensive treatments if needed at the Plastic Surgeon’s office. The added bonus? Facial contouring in mind (plastic) vs focus on skin health (Dermo). Comprehensive facial rejuvenation – can be as intensive as a lift… but even a facelift now has less invasive options and recovery. The old school method was to split off from dermatologist to go to an intensive surgery and come to plastic surgeon for a face lift primarily for anti-aging benefits. This is no longer the case! You can start going to the plastic surgeon even while in your 20’s – to improve the contouring using the same techniques. Contouring can mean cheeks, eyes, chin, etc. that you ‘may not like’ about your face. So it can start as simply as same techniques used at the dermatologist office, but a focus on improving the face shape — i.e. enhance your features vs. just get rid of the forehead lines. If there is light surgical procedure that can be recommended, it’s taken care of under one roof, with one consistent hand and look in mind, all designed for one face, without different creative opinions sitting on your face !!!!!! 1. What treatments can be used during the aging process… designed for your face, for now and later. 2. Preventing the aging changes while improving the contours. This is an amazing discovery as fillers and non invasive techniques can actually help your face age better now! 3. Techniques of smoothing wrinkles. The same offered at the dermo or aesthetician can be used with Dr. K.
4. Preventing deeper wrinkles from happening in the future – based on the observation of facial movement, this is something a good plastic surgeon can help with, to slow down the aging process. 5. There is no age for more confidence. Brigitte – What age range should someone come to you? Dr. K: As young as in 20’s, patients can (and do) come in with their mothers to benefit from lip enhancement, emphasize the structure of cheeks. Sometimes, when we are cheek “deficient”, an aesthetic enhancement gives a huge boost of self-confidence. And though it may sound ‘too young’ to start, there is no age for getting more confidence, especially with so many non-invasive possibilities. Brigitte: What are methods you use, and why is it different from the dermatologist? Dr. K.: Botox and fillers can be used to enhance. For example, a soft filler like Juviderm can be used for lips, while Juviderm Vomuma can be used to enhance facial contouring and improving. We can create a lift to firm, while contouring the cheeks to give even more attractive look. Enhancements can be used to improve the shape / view of the face. After that, facial rejuvination can consist of more traditional views of Plastic Surgery, with a few techniques in enhancement in between too! Brigitte: What are general recommendations for women (and men) nowadays? Dr. K: Traditionally, enhancement is in the 30’s and 40’s, but nowadays you can start as soon as 20’s late 20’s. Facial structures and how one ages by starting in the 20’s can be applied to reverse/ improve the contouring of the face. This is something a plastic surgeon can help with, whereas if you are at the dermatologist, they would send you to a plastic surgeon to improve structiure. Creating a beautiful jawline, neck contour, removing skin laxity from weight gain / loss or age. What did I get out of this sit down? It’s no longer “you’re too young to see a plastic surgeon”. Not just for improving the signs of aging, having a visit and treatment with a plastic surgeon does make sense to me.. because there is no age for improvement in beauty in my books. And if you don’t love your cheek shape or facial structure, you may just be able to get a feel good without invasion at Dr. Konstantin’s. Talking about it and giving a boost in self-confidence is high on my list of YES. And BTW, the staff is non-sterile and people friendly with smiles too. Plus, it’s awesome to be more knowledgeable about your face and its future. There’s no age for improvement! YOUNG ENOUGH for PLASTIC contouring story by Brigitte Segura. 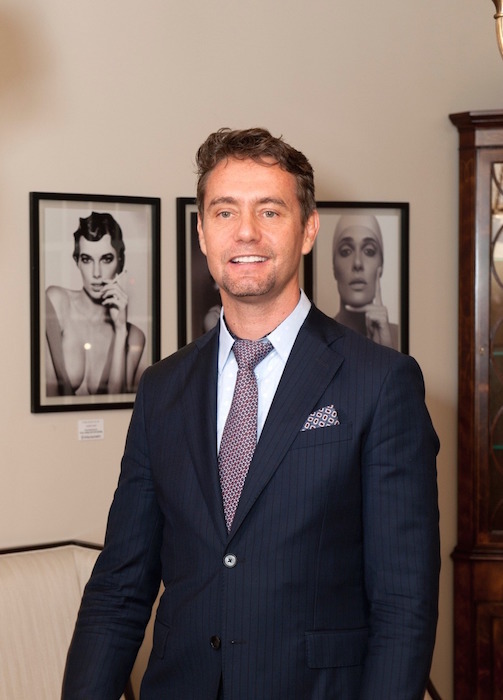 Dr. Konstantin is located at 59 East 79th Street, Floor 1, New York, NY 10075.
more CELEBRATING the ART of BEAUTY with Dr. Konstantin.